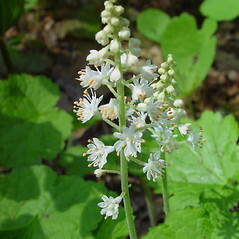 Foam-flower makes an attractive plant for the native garden, with its frothy spikes of white flowers. 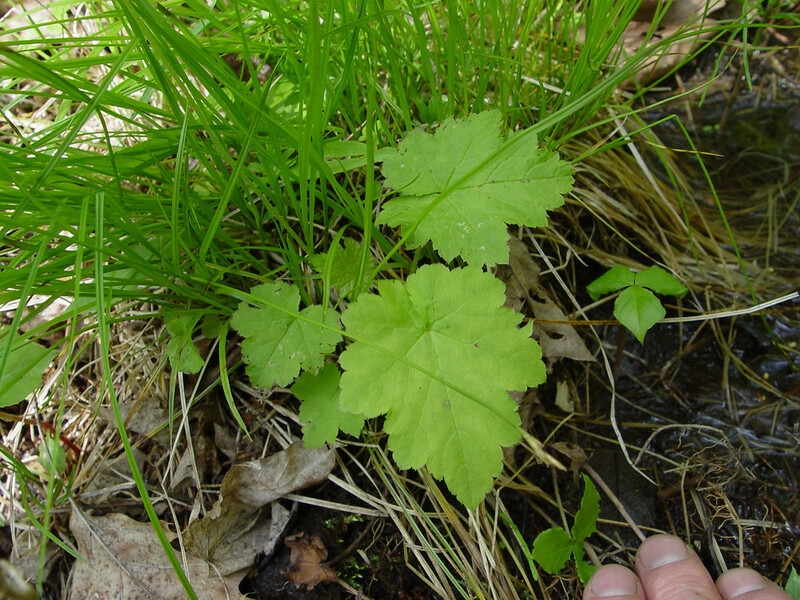 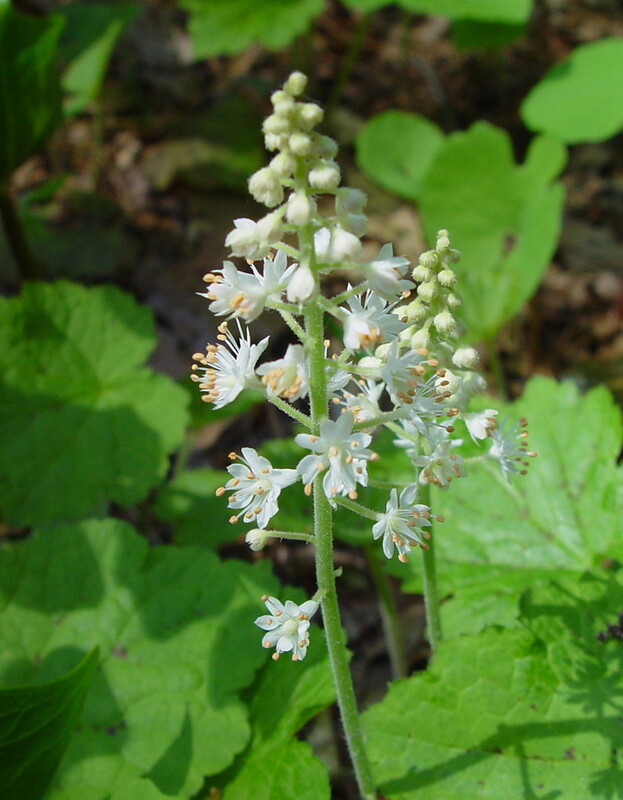 Native Americans used this plant for a variety of ailments, including as a treatment for sore mouth in babies. 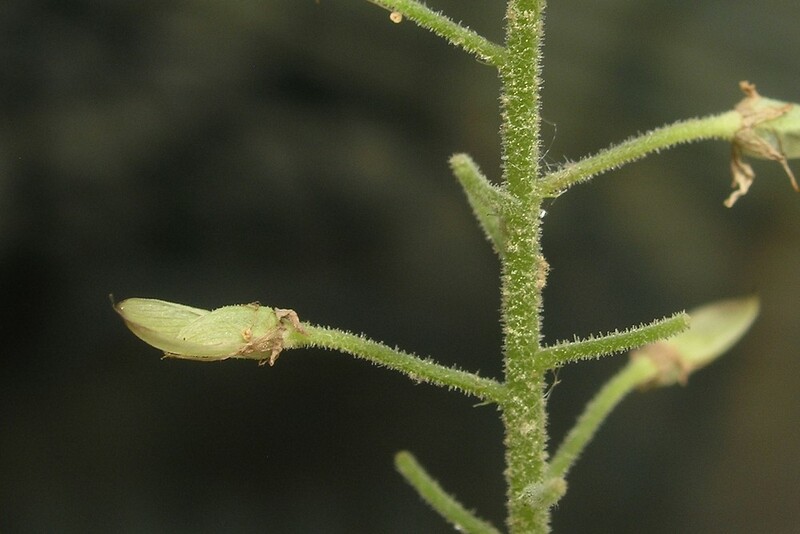 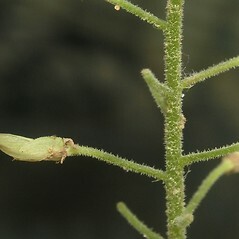 flowers with 10 stamens, inflorescence a raceme, and valves of the capsule very unequal, one larger than the other (vs. H. Americana, with flowers with 5 stamens, inflorescence a panicle-like thyrsi, valves of the capsule +/- equal). 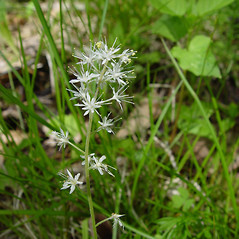 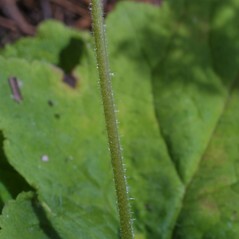 petals conspicuously fringed and flower stalks 1-2 mm long (vs. T. cordifolia, with petals entire and flower stalks 5-10 mm long). 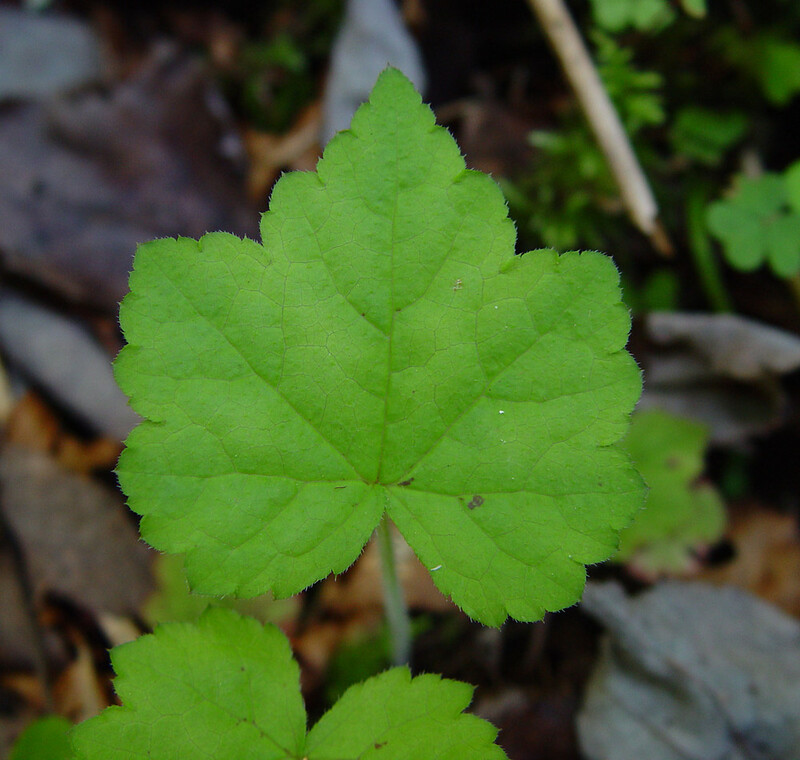 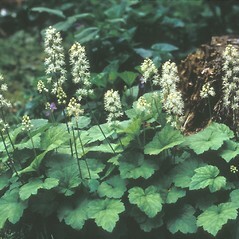 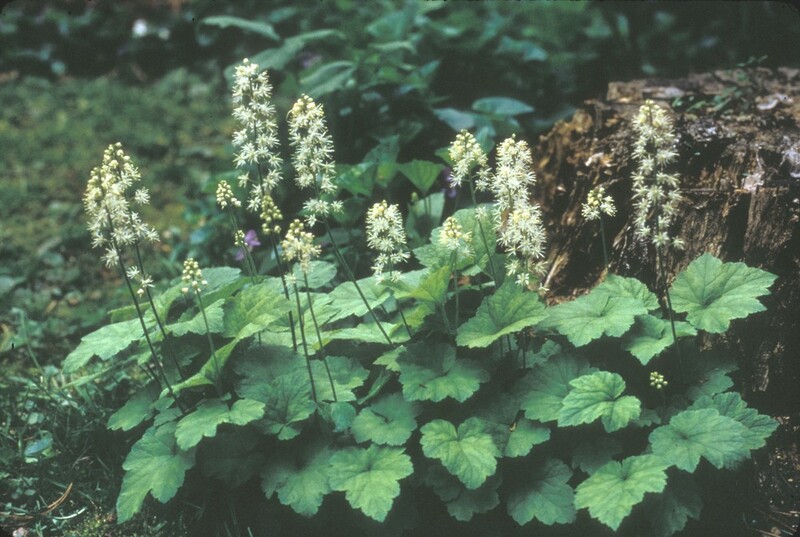 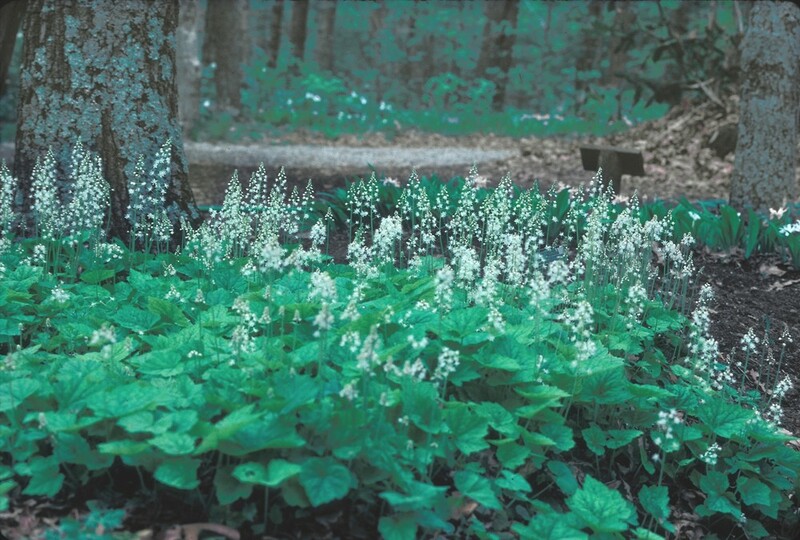 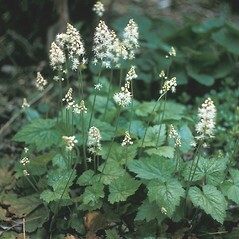 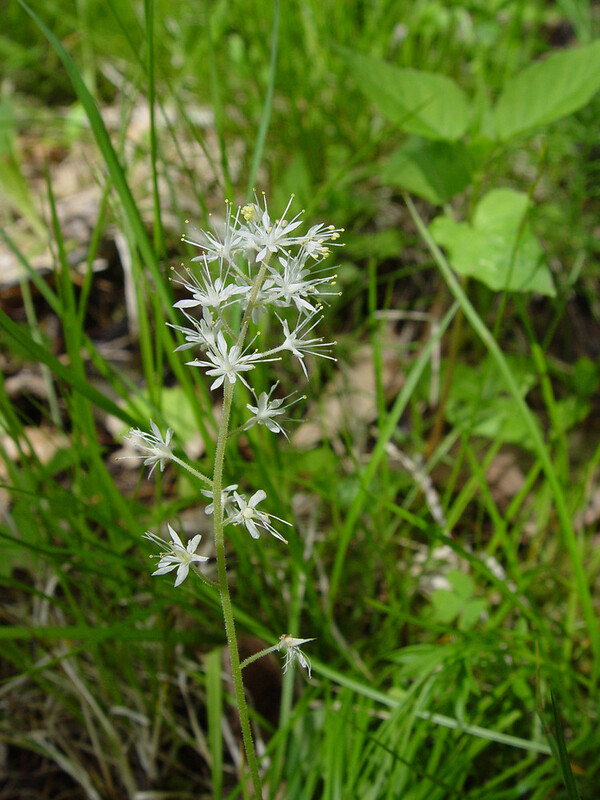 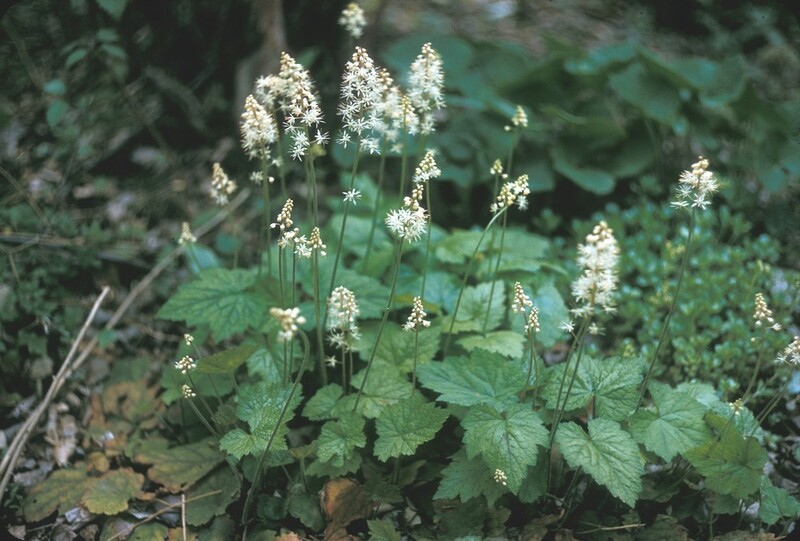 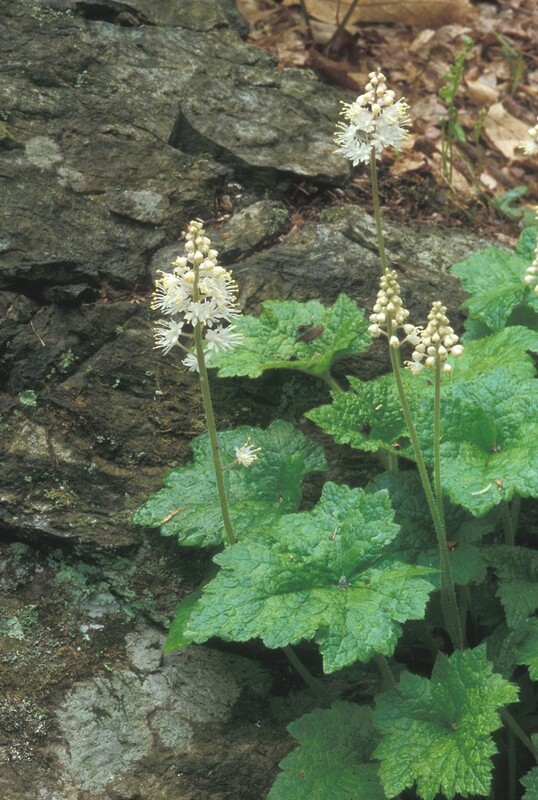 Our variety is Tiarella cordifolia L. var. 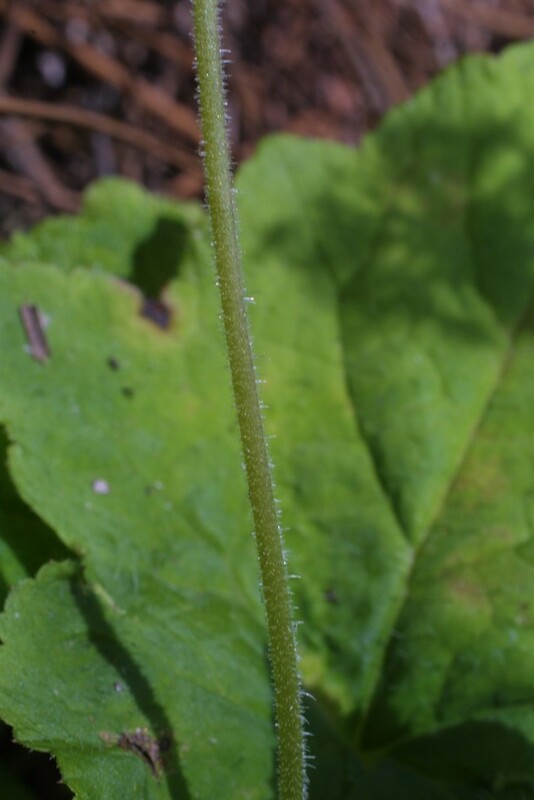 cordifolia. 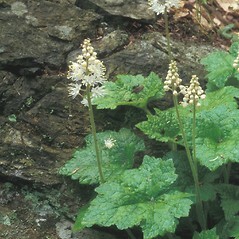 foam-flower. 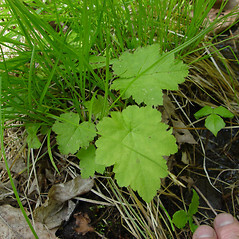 CT, MA, ME, NH, VT; also reported from RI by Kartesz (1999), but specimens are unknown. 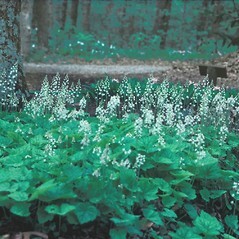 Mesic forests, swamps.